As LSN heads into its fifth year, we have seen what works and what doesn’t in the fundraising process. 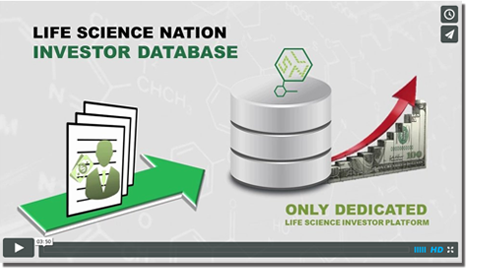 LSN has developed a fundraising platform consisting of an early stage life science investor database (the LSN Investor Platform), and the RESI conference series, which takes place every two and a half months at venues through out North America. These two vehicles allow fundraising executives the ability to be very efficient in finding investors and partners that are a fit for their stage of development and their product offering. Providing an efficient vehicle for identifying and understanding global investors that are a fit for your company is very helpful, but quite frankly is just the ante into the game. The devil is in the details and this is where we see many scientist entrepreneurs fall short on their capital raising efforts. I have proclaimed time and time again that raising money is a numbers game, and that theme is ever present in the basic process of getting in front of investors. Not surprisingly, it’s all about the frontend, making that introductory calls and the backend, doing the all-important follow-up calls. These two pieces of the process always prove to be the most daunting because of the tedious and repetitive nature of this simple activity. I have advised many of my fundraising clients that it is essential to find someone in their organization who enjoys scheduling meetings and following up regarding meetings. It sounds easy but is far from it. Everybody is busy and everybody is trying to prioritize their schedule around their to-do lists of important tasks. Therefore it takes someone who is genetically coded to handle the setting up and follow up, someone who doesn’t interpret a “no” just because they haven’t received an answer back. Someone who has a “can do” attitude of going after a meeting until they get it booked or get an emphatic, no thanks, and it’s off the table. It can take 3, 5, 10, or 20 attempts to book or follow up on a meeting so having the right personality for this mission is critical. I routinely suggest if no one in-house is available or capable of performing these tasks then hire an intern or recent college grad who is looking to get some exposure and training on the business side of the house. Having a CEO or a business development executive trying to arrange meetings is too time intensive and doesn’t work (there I said it). In summary, if you have a current accurate database of global investors and an ongoing conference series to attend, the crucial next step is doing the hard work to get you and your story in front of the right investors. Don’t underestimate the tenacity needed to participate in the numbers game called fundraising.